New York State is home to arguably the most famous waterfall in the world, Niagara Falls. But thanks to its diverse terrain and an abundance of rivers and streams, the state also boasts more than 2,000 other waterfalls. From delicate cascades to thundering cataracts, each has its own compelling story. 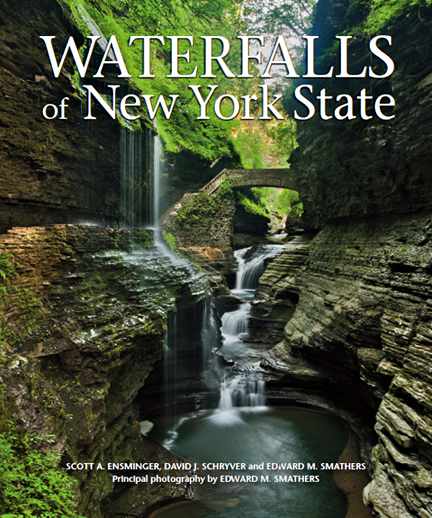 Waterfalls of New York State is a celebration of more than 100 of the Empire State's most beautiful and interesting falls, presented by three long-time waterfall enthusiasts who know their subject matter firsthand: Scott A. Ensminger reports on the Finger Lakes and Greater Niagara regions; David J. Schryver covers the North Country region; and Edward M. Smathers, principal photographer for the book, tackles the Capital and Hudson Valley regions. 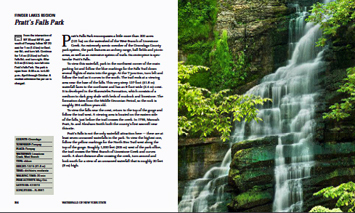 Each waterfall is presented on a two-page spread with a full-page color photograph and descriptive text that includes details about the geology of the falls, local history, driving directions, access information, suggestions for the best vantage point for viewing, as well as other area interests. Sidebars feature handy at-a-glance information, such as the nearest settlement, walking time, trail conditions, GPS coordinates and the size and type of waterfall. 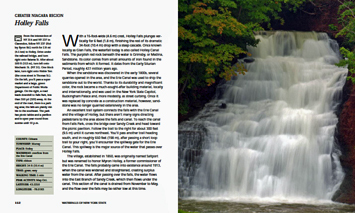 Filled with gorgeous photographs and featuring regional location maps, Waterfalls of New York State is a valuable regional travel guide for weekend explorers, fans of waterfalls, visitors to the state and armchair travelers. Copyright © 2012 by Scott A. Ensminger.